Are you missing that dinner party staple beef bouguinon? Well you know what? You don’t have to miss it anymore, cause’ like who even needs to eat beef when mushrooms are so tasty? Personally I don’t think this rich gravylicious stew needs an kinda meat replacer, but if you feel the need seitan would be a winner here! I served this up to a bunch of omnis and they fell in love with it, and well truth is so did I! 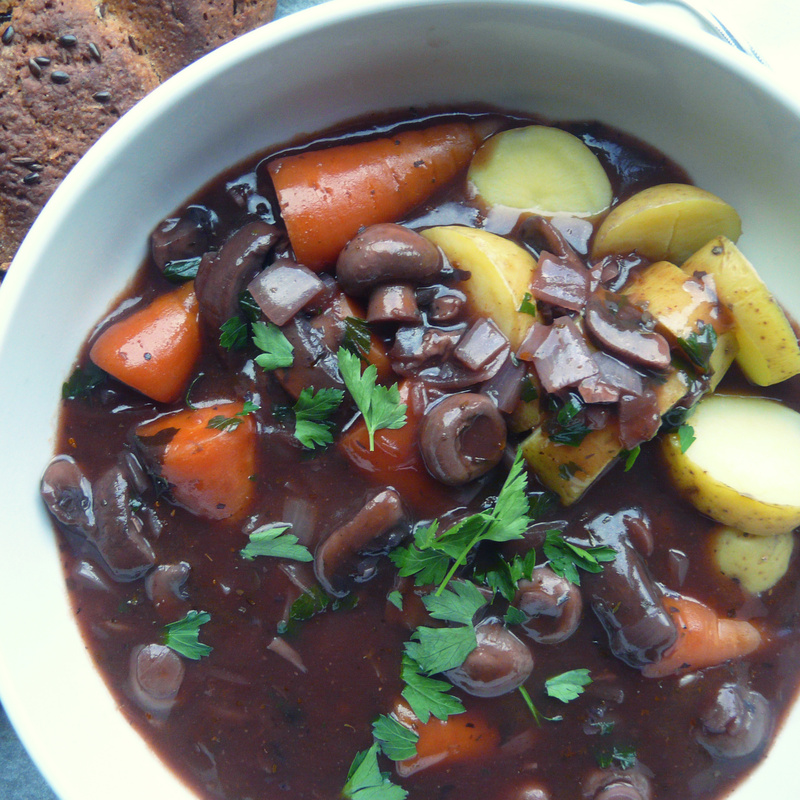 Its flavourful, simple and doesn’t take anywhere near as long as the usual bourguinon. This is deffo worth a try! Heat the oil in a large heavy bottomed pan and saute the onion until softened, add the garlic and just toss in the oil for 1 minute, add the mushrooms saute until slightly softened before adding the carrots and the red wine. Add the miso bouillon, mushroom ketchup, bay leafs and mixed herbs. Bring to the boil then down to a simmer and pop the lid on. Simmer for about 20 minutes until the carrots are al dente. Mix the cornflower with the cold water, make sure the bourguinon is bubbling and then add the corn flower mix, stir well and add the parsley- saving a little for garnish- and add salt and pepper to taste. Serve with potatoes- boiled or mashed, pasta is also good with this, in fact pair it with whatever you like! 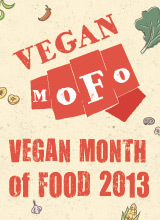 This entry was posted in mains and tagged food, recipe, vegan. Bookmark the permalink. This looks delicious! I love the idea of using miso bouillon in it, I’d never think of that in a stew! This sounds excellent and I’ll give it a try once I figure out what “mushroom ketchup” is . . . Can you give me a clue? http://www.cookipedia.co.uk/recipes_wiki/Mushroom_ketchup Its one of my favorite things! I put it in lots of things, but mostly when I want a more intense savory flavour. Thanks! I’ve never seen that here. What would you suggest as a substitute? That weekend sounds like heaven to me! I might share the loaf, its about 20% rye and the rest just white flour, and a little caraway. It went so well with this! A big hunk of that bread – dip it into that yummy sauce…Sigh. Looks so good! I might make the bread again and post the recipe… not sure at the mo…. I don’t like real beef at all so i must try your vegan mushroom version! It looks like the real deal! 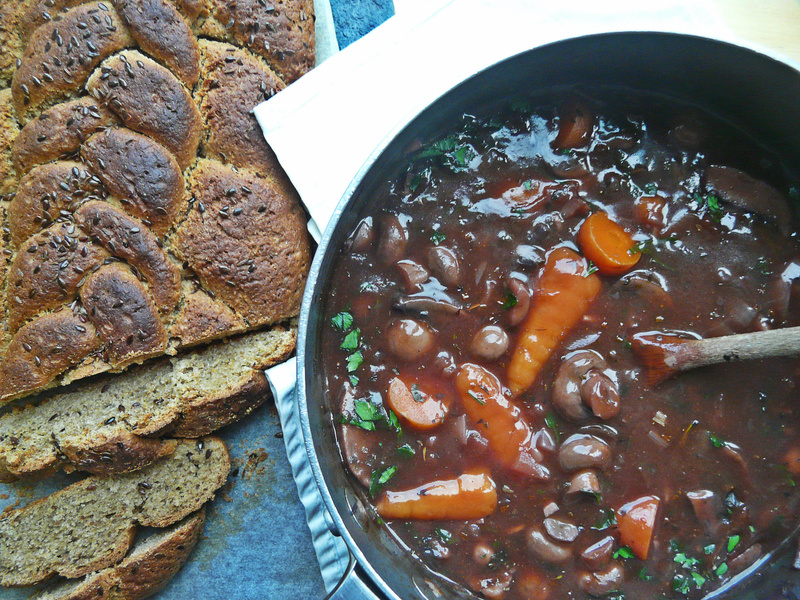 I have a not beef stew recipe on my site, this one kills mine… I don’t think I can wait for cooler weather to try it out. Blast about the mushroom ketchup and the dark miso though….Don’t think I can find either here.